No car available on today’s market comes close to the combination of comfort and reliability found in a W123 Mercedes-Benz. They’re known the world over for being virtually indestructible, as evidenced by their use as taxis in some of the most remote parts of the Earth. More than 2.4 million of these luxury workhorses were built worldwide between 1975 and 1986, and the majority of the ones up for sale these days carry high mileage as a badge of honor. But not all W123s entered into a life of servitude, some found themselves taking it easy on a day to day basis. With just 20,505 miles on it, this 1982 300D qualifies as a survivor in my book. 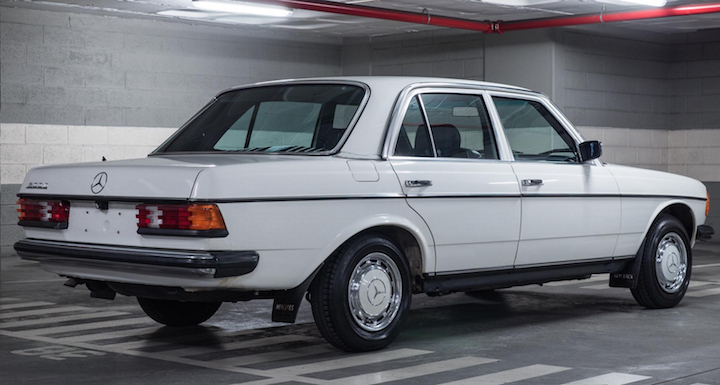 This pristine example of a W123 resides in Portugal, and is offered by CoolnVintage, who you may know from their excellent photo essays, and short films that feature the cars they have for sale. The photo story for this car is called Endless Summer, which is quite appropriate given the strong nautical vibe the White over Blue color combo puts out. Again, this is not a restoration, this is an all original car, that’s original paint, and inside you’ll find original carpet, leather, and so on. 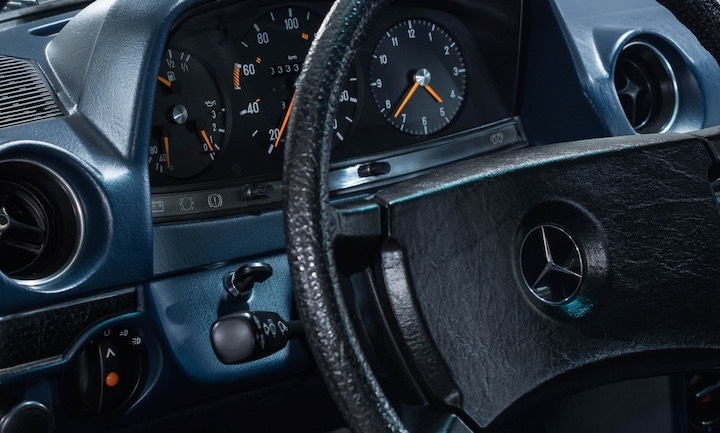 The quality of the OEM parts used by Mercedes when building these cars is unmatched, and to find one in such good shape, with such low miles, it’s as close as you can come to knowing what it felt like to drive one off the lot in 1982. 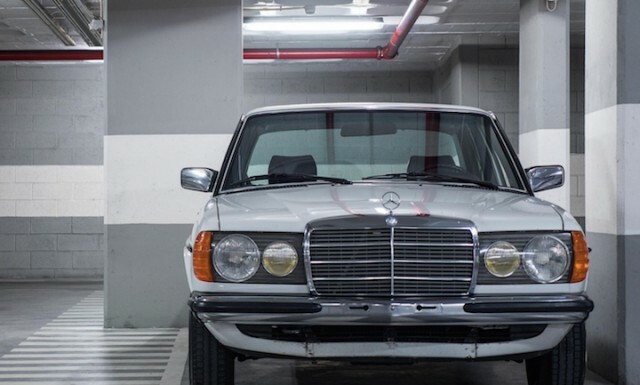 If you’ve been considering buying a classic car to use as a daily driver, not as a weekend toy to take on spirited drives, a W123 Mercedes-Benz is an excellent option. By no means is it a fast car, and if you do manage to hustle it up to the top end of it’s range, you’ll feel like you’re floating on a cloud, just don’t expect that cloud to corner well. 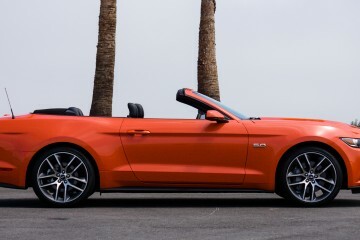 Attempting to wring all 87 horsepower out of the 3.0-liter inline 5 will be an exercise in futility though, and instead you’d do well simply enjoying cruising in style. 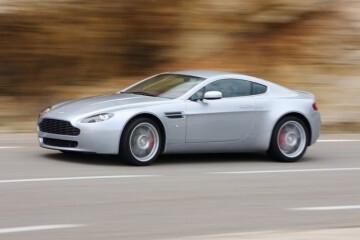 This is a car that could actually prevent you from getting speeding tickets, how many new cars can you say that about? Ownership of a W123 is not to be entered into lightly, even if it’s a survivor car like this one. They’re old cars that will need things from time to time, and these things cost money, as does the service of installing said things. If you’re considering buying one of these timeless machines, remember that it’ll take some work to keep it timeless. There is many a sad W123 parked on the street here in Los Angeles, long neglected by an owner who doesn’t have the time, or money to restore the car, or the good sense to just take a loss and sell the damn thing. It’s unfortunate that this happens because just about every W123 is worth saving, due to the fact that they will run with even a minimal amount of TLC. Of course this example needs none of that at the moment, all it needs is an owner who will appreciate its rarity, and educate themselves on how to care for it. I’m not saying you have to become a master Mercedes technician to own this car, but if you at least learn what to look out for, and how to take care of small issues, you’ll be doing yourself a huge favor. On top of that, you’ll want to find a trusted shop in your area that can work on the car when need be. 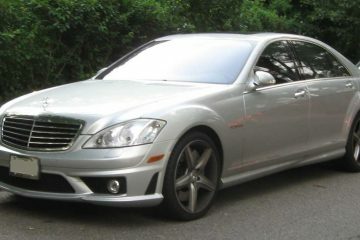 A good independent Mercedes mechanic is a must if you’re going to get one of these cars, you do not want to take it to a dealership, for anything, ever. If you’re not quite ready to take the plunge on importing a car from Portugal, start your W123 hunt with AutoTempest, and if you end up pulling the trigger on one, let us know, we’d love to share your story.